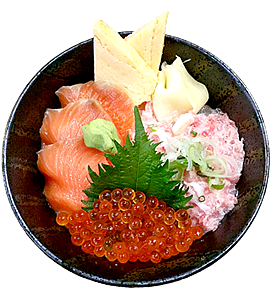 ﻿ Wellcome to Kaisendon Marukita. 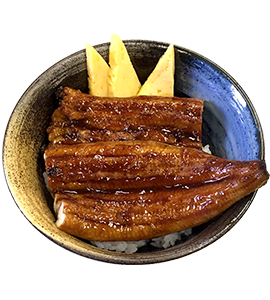 Our shop Marukita No'2 and No'3 offers Muslim friendly cuisine. Our kitchen does not use pork or chicken. 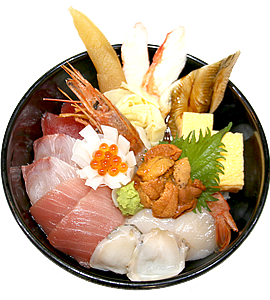 Eat your seafood rice bowl with confidence! 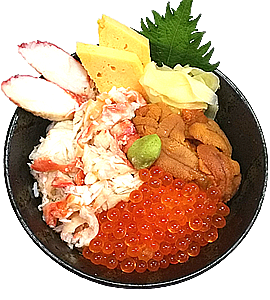 Our seafood rice bowl is suitable for low fat diet. Our shop never uses fat from mammals or birds. 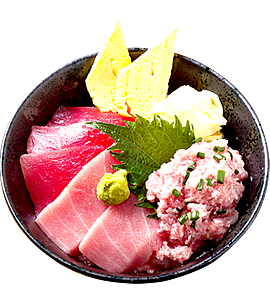 Fat from fish, such as tuna, salmon, yellow tail, eel, etc. has been proven to contain healthy fatty acids. 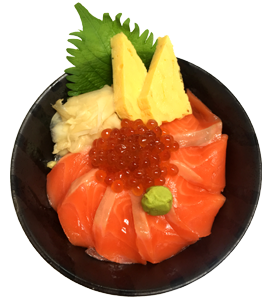 Our seafood rice bowl is also compatible with low sugar diets, You can change the amount of rice in order to maintain a low sugar diet. 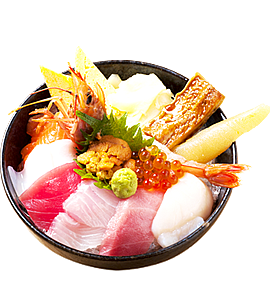 Sashimi-only dishes can also be requested. Please do not hesitate to call us when ordering. Please check store Front!! There is a possibility that the contents may change depending on the time. 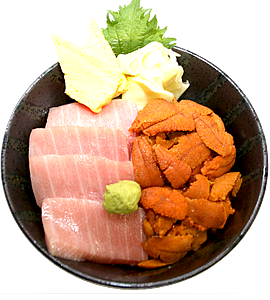 A：Put it on Sashimi little by little or Mix in Soy Sauce.